Faith: The Grit That Moves Us Forward . . .
“Get rid of all bitterness (and) rage . . . along with every form of malice. forgiving . . . just as in Christ God forgave you. “Walk in the way of love . . . as Christ did . . . The realization that it took enormous determination and a gritty courage for Jesus to carry out His Father’s Plan encouraged me like never before. When Jesus prayed, “Father, if you are willing, take this cup from me; yet not my will, but yours be done,”* He fully understood what was to come in a very few hours. In those moments of reflection, I found courage in Jesus’s gritty steadfastness, to love, to forgive and to trust again as I placed everything at His feet. Faith faces the fact of our human condition before a Holy God–there is no such thing as a “good person”. Only a faith invested in the gritty love demonstrated by Jesus, who knowingly faced rejection, torture and a very public execution, is a faith worth having. Thankfully, it doesn’t stop there . . .
to live for, love and serve Him with glad hearts! 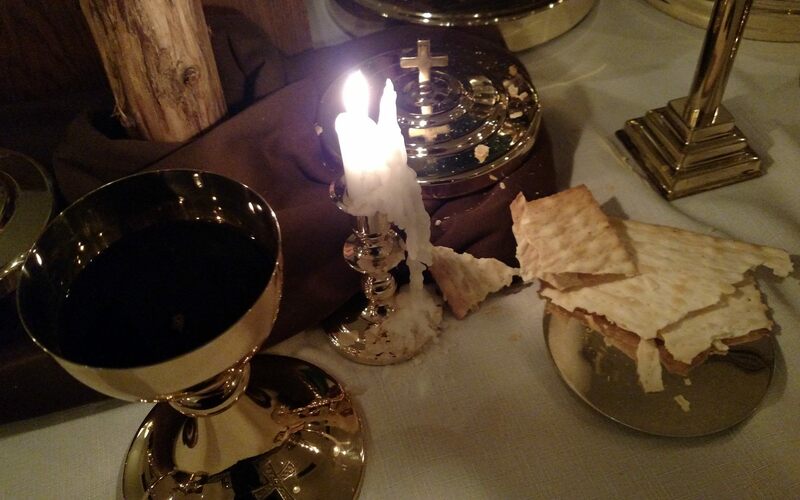 **Maundy Thursday commemorates the last meal Jesus and His disciples shared before His arrest and crucifixion. ‹ Previous“Lord, Turn Our Whining Into Worship”– The Necessity Of Spiritual Regrouping* . . . .
Next ›Don’t Get Used to It! Happy Easter, Kris, I love you too! Thank you for those hopeful words, Kathie! Trusting you will have a hope-filled Easter, Heidi–He Is Risen!